Regardless of what tactics they’re using, marketers want to measure the effectiveness of their marketing. One of the great things about digital marketing is the abundance of tools and analytics that make it easy to measure your marketing results. But what about print marketing? How do you measure the impact of traditional tactics like signage, brochures, or print ads? Most businesses use a variety of different types of marketing – some digital, some traditional marketing. The problem is identifying which tactic is responsible when a new lead or sale comes in. Was it the email blast you sent yesterday, this month’s print ad, or the billboard down the road? Before the rise of digital tracking tools like Google Analytics, attributing results to print marketing was very difficult. This meant that marketers couldn’t tell whether or not the dollars they were investing in print were well spent or not. Now, however, traditional and digital advertising are highly integrated, so you can often use digital technologies to track your print marketing efforts. Try these five ways to track your offline advertising and put your marketing dollars to good use. Despite the rise of the Internet and email, businesses still rely heavily on the phone to conduct business. Now, however, phone call tracking software lets you create custom phone numbers tied to specific print campaigns or marketing collateral. 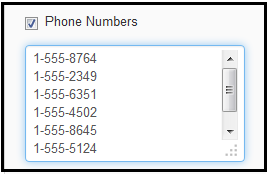 Then you can track which numbers are generating calls. For example, let’s say you create one phone number for your printed brochure, and you attach a second one to your magazine ads. You can track which marketing tactic is responsible for your leads, and adjust your spending, based on which performs better. Many phone tracking services also offer call recording, so you can review and qualitatively analyze your phone leads. You could use your regular web address on your print material, but then you’d be faced with a problem: unattributed leads. If your prospect sees your print ad, but then types the URL directly into their browser, Google Analytics tags that as direct traffic. Or maybe they’ll just Google your company name – this would be labeled as organic traffic. Neither tells you whether or not they came from your print marketing. Vanity URLs solve this problem. For example, let’s imagine you’re an HVAC company that also offers plumbing and electrical services. Rather than printing www.acme.com/plumbing on your brochure, you purchase a simple, easy-to-remember URL: acmeplumbing.com. You then redirect that to the plumbing page on your website. From there, it’s simple to track which visitors are arriving from the vanity URL and how well the brochure is generating leads. If you don’t want to purchase a separate domain, you can also use a URL shortening service like Bitly to get a unique, shortened URL. Many of these services are free and some even provide tracking on the click-throughs for these custom links. The disadvantage is that the free services have their own branded prefix, so your customers may not trust them if they’re not familiar with URL shortening. It can also be difficult to find a unique URL that someone else isn’t already using, unless you pay for a special branded prefix. Ultimately, if you’re going to use a shortened URL, make it as recognizable and memorable as possible. Otherwise, it might be better to go for a vanity URL or something else obviously attached to your brand. Designing a custom landing page and UTM parameters for your print marketing campaign will give you more detailed analytics to better track conversions for your offline advertising. Simply put, UTM parameters are tracking codes added to the end of a URL. They allow you track where your traffic is coming from for each of your marketing campaigns. The handy Google Campaign URL Builder can help you create your custom tracking URL pretty effortlessly, too. You’ll see the UTM parameters here, which tell Google Analytics the source, medium, campaign and even content that generated the click. This will give you detailed analytics to track the results from your offline campaign. 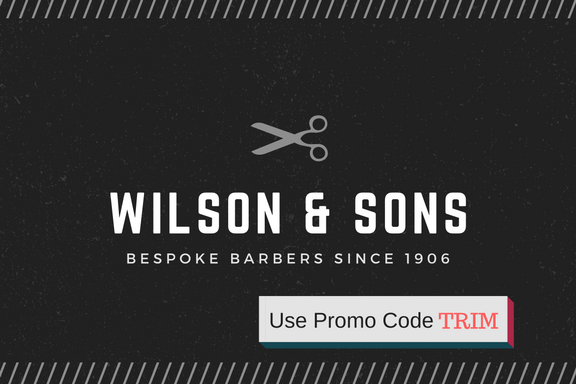 Custom coupons and discount codes are a very simple alternative to vanity URLs, UTM parameters, and custom landing pages. Just create a different code for each different ad or marketing campaign. You can use Google Analytics to keep track of your discount codes, allowing you to attribute sales to your print marketing. This method is fairly straightforward, but remember to use memorable coupons and discount codes. The only downside to relying on coupon code to track your offline marketing is that users often add popular codes to coupon-sharing websites online. Not only might you get more coupon-users than you bargained for, but you won’t be able to tell whether the customer found the coupon code in one of your print ads or online. Along with testimonials and reviews, asking your customers for information regarding how they found you is an invaluable strategy. It doesn’t even require any setup or additional cost on your part—all you have to do is talk to them. You may have to be more proactive to get their feedback, but that’s the nature of tracking and analytics: being proactive! 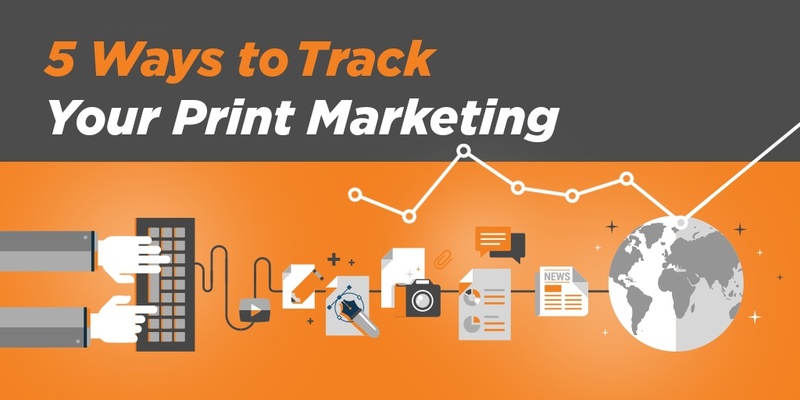 Tracking your print marketing doesn’t have to be an impossible task. In fact, many of these methods are applicable to digital marketing as well, so they’re constantly coming up with new technology to make it easier. The point is, offline isn’t going anywhere, and as more and more marketers integrate their print and digital marketing together, we need more efficient ways to track and analyze both. Editor’s Note: This post was originally published in August 2016 and has been updated for accuracy and completeness.